Portion sizes aren’t thought about carefully enough by most bars, and this is a huge mistake. Establishing a clearly-defined portion size for your drinks is an important way to ensure the quality and taste of your cocktails remains consistent. But more importantly, it’ll ensure that you don’t sacrifice profits due to your bar staff pouring drinks too heavy. When opening a new bar, it’s important to have a clearly established portion size for your drinks as well as an objective way to measure this portion. For example, we don’t recommend making a “3-count” your standard way to measure your portion sizes since every bartender’s 3 count may be different. On the other hand, making a 1.5 oz. drink your standard portion size is much more objective. It’s easier to measure this portion size, and your bartenders can easily get the portion right every time they pour a drink. 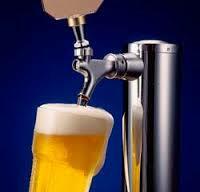 The most common portion size for draft beer is a 16 oz. glass. However, you may want to consider using 14 oz. glasses instead. Most customers typically won’t notice that they’re receiving a slightly smaller portion. However, this smaller portion size allows you to price your beers a little more aggressively, and most people notice price more than they notice portion size. Something else to consider if you choose to offer 14 oz. draft beers is to also offer a larger size beer option. This is especially beneficial for high volume bars. It’ll take longer for people to finish the larger beers, which helps your flow at the bar during busy times. We recommend using a 20 oz. glass for your larger beer option. 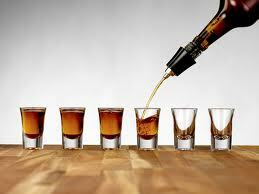 The two most common portion sizes for liquor drinks are 1.25 oz. and 1.5 oz. The industry standard tends to be 1.5 oz. drinks, but we commonly see 1.25 oz. cocktails in establishments with more of a corporate culture. In general, Bar-i recommends offering a 1.5 oz. liquor drink and a smaller size for shots (ideally 1 oz.). You’ll need to carefully measure the size of your shot glasses since the size listed on the packaging isn’t always accurate. We find that 1 oz. is the ideal size for shots. By using this smaller shot size, you can price your shots a little cheaper than your cocktails, which will hopefully encourage your customers to take more shots. It’ll also help your customers 'manage their buzz', which may help your bar avoid violations by your local liquor board. A 6 oz. glass of wine is typically the standard size at most bars. However, some bars that emphasize wine service will offer 2 different sizes (typically 6 oz. and 9 oz.). This is effective if you sell a lot of wine at your bar. By offering the larger size in addition to the standard size, you can make a few extra dollars on each glass of wine that you sell. Establishing a clear and objective portion size is only part of the job. You must also make sure your bar staff has the proper training to ensure they pour all drinks according to your set portion sizes. Bar-i runs training workshops with new clients to help make sure you have the proper training processes in place at your bar. During these workshops, we’ll show you how to implement pouring practice at your bar. This is an effective way to make sure your bartenders get the portions right all the time. It’s also important to verify that these portions are being adhered to during every shift. The best way to do this is to use a sophisticated liquor inventory system that lets you compare what is rung in with what is actually poured. To take advantage of a free consultation regarding the portioning strategy at your bar or to find out how our bar inventory system can help you streamline your processes and maximize profits, please contact Bar-i today. We serve bars nationwide from our offices in Denver, Colorado.